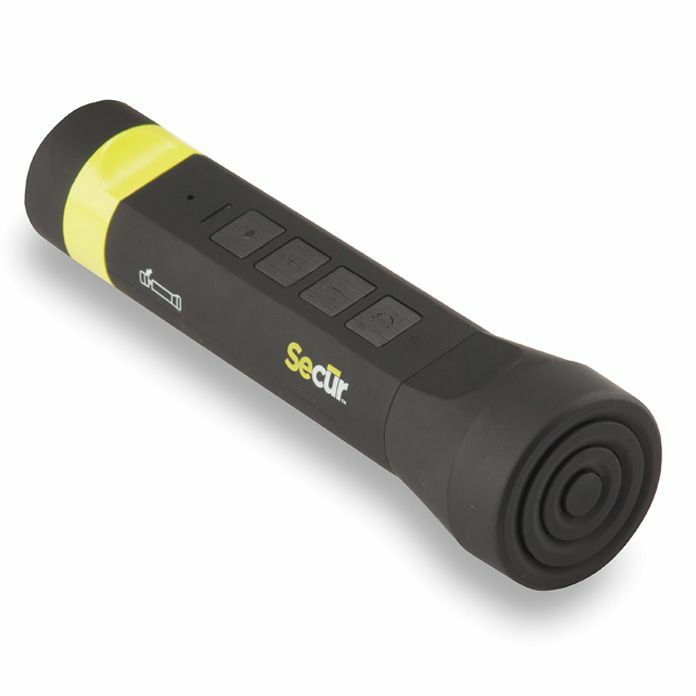 Getting lost on a dark night is no fun unless you brought this Bluetooth flashlight from Secur. You can find your way as you stream music through the built-in Bluetooth speakers. You can even take calls to find your friends without having to take your phone out of your pocket. Recommended by world champion Dutch oven chefs, Camp Chef's conditioner is the best way to 'season' your cast iron Dutch ovens, grill grates, griddles, skillets or other cast iron products. Made of all natural oils, this conditioner creates a natural, easy release surface and should not be viewed as a chemical non-stick coating. Seasoning your cast iron will allow it to last for generations. *Cast iron conditioner is temperature sensitive. In cooler temperatures conditioner may thicken. To soften conditioner, simply massage the conditioner tube or set tube in warm water to soften. In warmer temperatures conditioner may thin out. If this happens open the conditioner with the lid pointed down, as the conditioner may run out rapidly. If the bottle ever develops a clog use a small nail or something similar to dislodge it. The iGlow COB Keychain Light is a multi-purpose light ideal for your home, outdoor activities or emergencies. Features handy carabiner to clip onto your keys, back pack, or purse. Designed with COB technology, it is a super bright white light. Made of durable ABS. The iGlow COB Switch Night Light is a multi-purpose light perfect for your house, condo or cottage. Features a handy switch and requires no electrical wiring. It is battery operated and easy to install. Just peel and stick, built-in magnets or wall mount via keyholes. Light up the night with this super bright night light. Bluetooth Flashlight Getting lost on a dark night is no fun unless you brought this Bluetooth flashlight from Secur. You can find your way as you stream music through the built-in Bluetooth speakers. You can even take calls to find your friends without having to take your phone out of your pocket.